The number 1 over-the-counter feminine hygiene brand worldwide, Lactacyd is proud to be the intimate care partner at every stage of a woman’s life. I believe many of us tend to neglect caring for our V-zone and forgot how delicate it is. 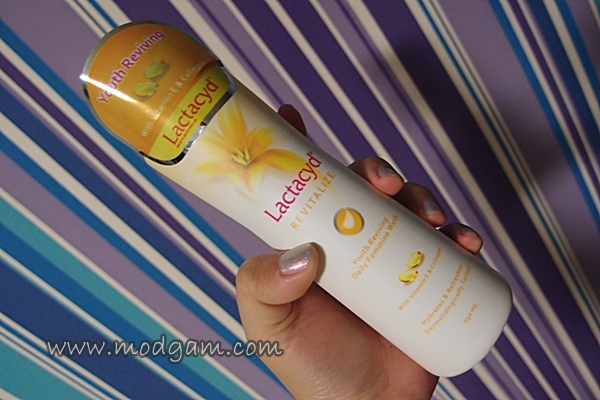 Lactacyd is Singapore’s first intimate wash with skin lighening benefits made with natural ingredients. Not just for the v-zone, you can also use this as a normal shower foam because of its many beneficial enhanced qualities such as moisturising, long-lasting freshness, whitening and sensitive care. – Proven visible lightening in 4 weeks! – Made with natural ingredients! – 9 out of 10 Asian women claims to see visible lightening results within 4weeks based on actual product use test. – Specially formulated to provide cleansing and long lasting freshness. For best results, use thumb size amount twice daily. I did a little test on my palm and am surprise to see the immediate difference. My palm does look a little fairer. Perfect for maintaining feminine health, the Lactacyd Revitalize invigorates with extra-nourishing care for your intimate zone. Its special mild formula rejuvenates by preventing dryness and loss of skin elasticity. 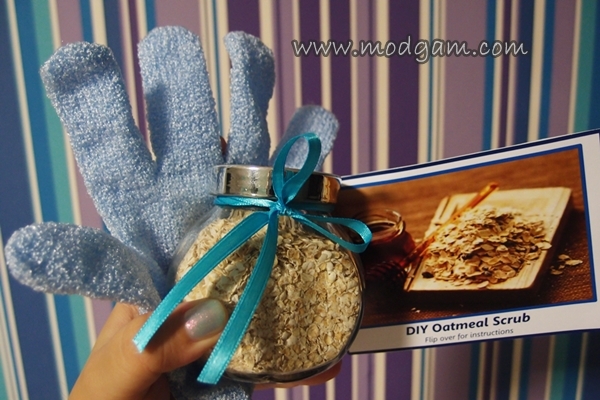 I will try the DIY Oatmeal Scrub and update again. Have bad burn marks from Legoland and I really dont think its the right time to scrub those delicate skin now. FREE LACTACYD TRIAL KITS FOR EVERYONE! LIKE Lactacyd facebook page, click on “FREE TRIAL KITS”. After filling up the registration form, please enter my blog url www.modgam.com under “Referred By”. I do think it is a shame that some people feel their skin may need ‘whitening’. 🙁 I think all women should embrace their beauty whatever the colour of their skin. I think it would be a very dull world if everyone was the same. It’s our differences make the world an interesting place.